On July 20, during the weekly Peak Season teleconference that the Surface Deployment and Distribution Command (SDDC) holds with the Military Services and the Industry, Lt. Col Todd Jensen, Director, SDDC Personal Property, formally announced a new organizational structure for the lead elements involved in the oversight of the DOD personal property program. An internal DOD meeting was held on June 5 with the USTRANSCOM Commander; at that meeting a final decision was made to fulfill one of the recommendations coming out of the Defense Personal Property Program’s “Deep Dive.” That recommendation had been to consolidate the organizational structure for the entities involved in personal property at Scott AFB. On October 1, 2017, a “program consolidation” of the key players will stand up. The SDDC Personal Property Directorate, the Defense Personal Property System Program Management Office (DPS PMO) and the USTRANSCOM J 5/4 (Policy & DTR) will be reorganized and consolidated under the USTRANSCOM J 5/4. A full “bird” Colonel (O-6) will lead this new “Division” of the USTRANSCOM J 5/4. This means that the Personal Property Directorate will no longer be part of SDDC. This change will usher in a completely new command structure for Personal Property. It will bring the program (DP3), the system (DPS) and all policy (DTR) under a single program manager. The new O-6 leading the consolidated structure has been named- Col. Ralph Lounsbrough. Col. Lounsbrough was previously in place at USTRANSCOM and has now officially stepped into his new role. He will be leading the transition of this organization with the help of Lt. Col. Jensen, Lt. Col. Landrum (DPS Program Manager) and Jim Teague (USTRANSCOM – J 5/4). As indicated, the initial operating capability (IOC) for this group is scheduled for October 1, 2017. There is a great deal to be accomplished between now and then. Lt. Col. Jensen and Col. Lounsbourgh promised to keep all of the stakeholders updated each step of the way. This is a HUGE change for the future of the DOD personal property program. This announcement is just the first step in a significant undertaking. IAM will endeavor to keep the industry updated on each step that is taken as we move toward the October 1, 2017 IOC for the new organizational structure. One other item of note … Lt. Col. Jensen indicated that a final decision has been made to hold the 2017 Personal Property Forum (PPF) in the Scott AB, IL area, most likely in O’Fallon, IL. The date for the PPF will be September 19 and IAM and AMSA will likely hold an industry-only “Pre-PPF” late in the afternoon on Monday September 18. Exact locations for both meeting have yet to be determined. As these and other changes occur, Daycos customers may be assured of an expert partner in their corner to navigate the personnel and the process. 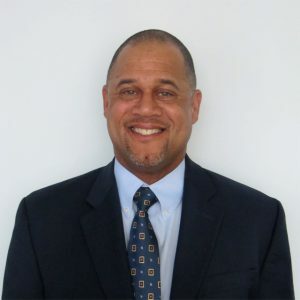 Charles “Chuck” White has been involved in the moving industry since 1994 when he went to work for Executive Moving Systems in Woodbridge, VA. Previous to that Chuck worked as a high school teacher and football coach in Maryland and Northern Virginia. During his time serving as Director of Sales & Marketing at Executive he was elected to a volunteer position on the Executive Committee of the International Association of Movers (IAM), formerly known as the Household Goods Forwards Association of America (HHGFAA). He served on that Committee for four years and in 2005 he joined the IAM staff as their Director of Government & Military Relations. He held that position for 10 years and in 2015 Chuck was promoted to the position of Senior Vice President for the organization. Chuck holds a B.S. from the University of Maryland – College Park and a Masters of Education (MEd.) from George Mason University. Chuck is married to Becky and currently resides in Springfield, VA. He has two daughters – Breiana, 26 and Mikayla, 24.